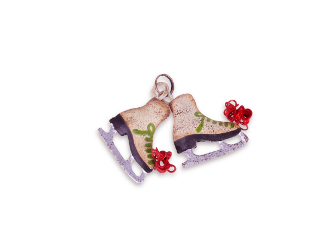 These mini ice skates designed by Genevieve Gail feature all-weather paint and a unique distressed finish. Let's see that triple Lutz! Dimensions: 2" x 1"h.